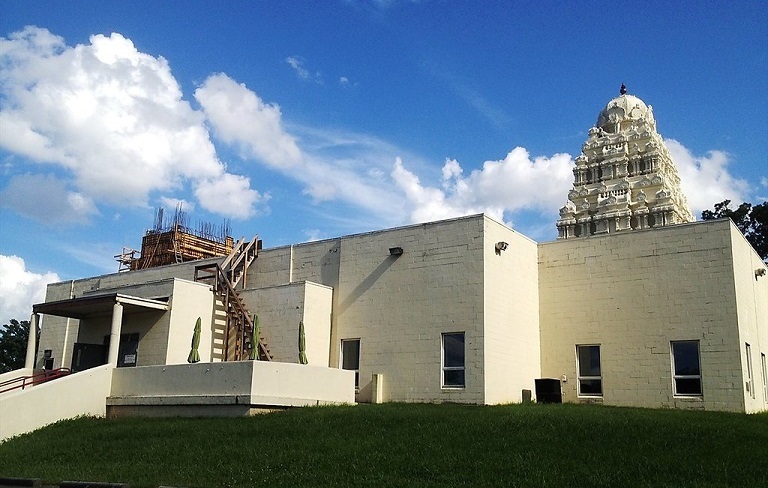 The vision was to build an authentic temple for Lord Murugan on a national level near the US capital to preserve the cultural and ethnic values of the people. After an extensive search for about four years, in 1986 an area of 11.5 acres was purchased at the current location of the temple. In 1987, Sri Valamburi Vinayakar was moved to the premises and the Balalayam for Lord Murugan was established to begin the process of planning the temple construction. His Holiness Thiru Kirupananda Variar Swami visited the temple and along with Sri Satchithananda Swami conducted the ground-breaking ceremony on June 4, 1989. In May 1999, the Kumbhabishekam was conducted on an impressively grand scale. Great saints Thiru Santhalinga Ramaswamy Adigal of Perur Aadheenam, His Holiness Gurudeva Subramuniya Swamy of Kauai Aadheenam, and His Holiness Sri Sachithananda Swami of Lotus Temple of Virginia graced the occasion. Arutselvar (late) Thiru N. Mahalingam from Tamil Nadu presided over the entire ceremony. A great deal of credit goes to Padmasri Muthiah Sthapathy for his vision, the design, architecture, and his leadership. The unique interior architecture and the majestic Murugan Rajagopuram are a testament to the outstanding skills of the silpis (temple artisans from Tamil Nadu) and their leader Sri Srinivasan Sthapathy. On July 10, 2016, the Murugan Temple of North America marked a historic occasion by celebrating the Noothana Rajagopura Maha Kumbhabishekam and consecrate three new deities at the temple. The temple was originally established in a small wood-framed house in San Francisco, California, way back in 1957, by an American-born Hindu guru, Sivaya Subramuniya Swami. 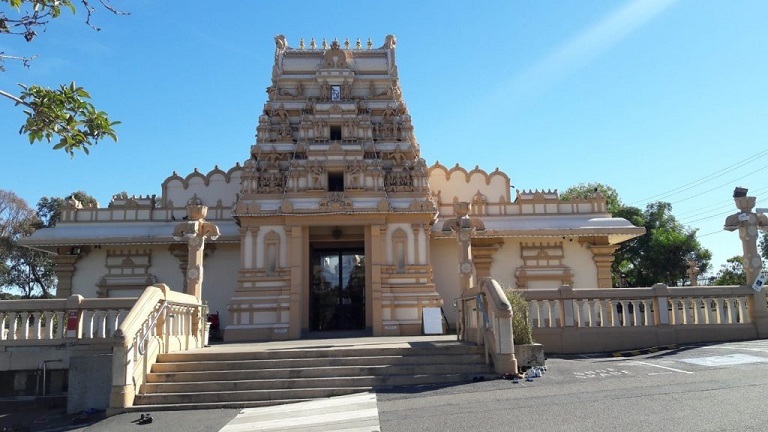 It may have been the first Hindu Temple to be opened in America that was beyond the scope of the various Vedanta centers that existed at that time. Offering Pujas to murtis of Ganesha, Murugan, and Shiva, it was founded on the traditions of Saiva Siddhanta and known as the Palaniswami Sivan Temple. It quickly became a popular site for the ever-growing populace of newly arriving Hindus, some of whom personally knew of the Sage from Sri Lanka, Yoga Swami, who initiated the American Guru. In 1973, a Thirchendur Murugan Vigraham was specially made in India by Mr. Mohanram of Kumbakonam and this Vigraham was installed at the Highgatehill Murugan Temple with special rites in October 1973. The Maha Kumbhabishekam (Consecration Ceremony) was held in June 1986. Some noteworthy events at this temple were recitals done by Seergazhi Govindarajan, M.L. Vasanthakumari, and T.M. Soundararajan. Dance recital by Shirmathi Jalaja Kumar, devotional music recital by Pithukli Murugadas, and music recital by Salem Jeylakshmi. 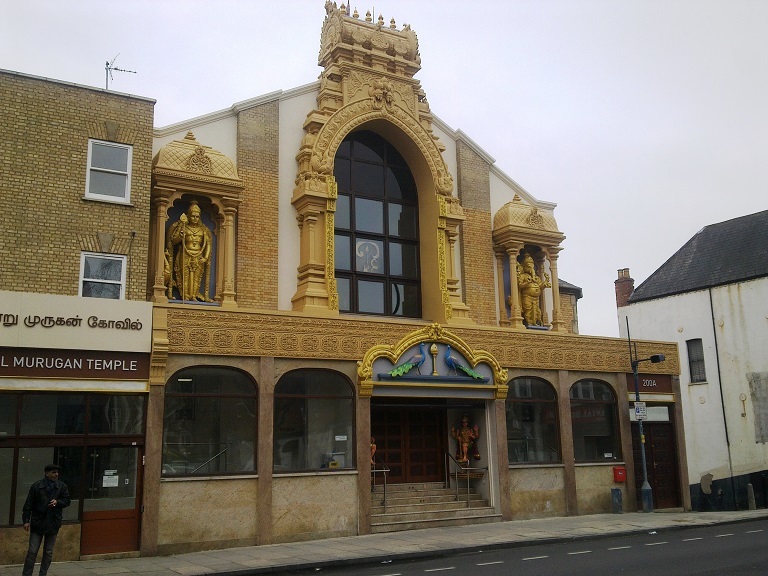 The Highgatehill Murugan Temple was also chosen by Queen Elizabeth II as part of her wish to recognise each of Britain's many faiths. Queen Elizabeth II visited the Highgatehill Murugan temple on the 6th of June 2002, in her first major engagement after the "Golden Jubilee" celebration. Highgatehill Murugan Temple is the first Hindu temple to be visited by the British monarch in British history. Accompanied by Prince Philip, the Queen spent about 45 minutes at the temple and a "Special Pooja of blessings" was performed during the visit. Murugan is popularly known here as 'Sydney Murugan', as he resides in the hill region called Mays Hill. Murugan worship in Sydney was originally initiated by Mr. Śivajoti Danikai Skandakumar, a Sri Lankan Tamil who brought a statue of Murugan made of five metals—gold, iron, copper, lead and silver—from Jaffna, Sri Lanka in 1983. Inviting many devotees, he commenced worshipping the Lord at his residence in Sydney. In 1985, a Hindu society Saiva Manram was formed to build a temple for Lord Murugan. In 1990, the Saiva Manram bought land in the suburbs called Mays Hill about ten kilometres from Strathfield. This land was originally bought to build a Tamil cultural centre with the idea of conducting prayer meetings for Lord Murugan. In September 1994, the foundation stone was laid for the Sydney Murugan Temple and Tamil Cultural Education Centre. The construction for a magnificent temple for Lord Murugan commenced in April 1997. 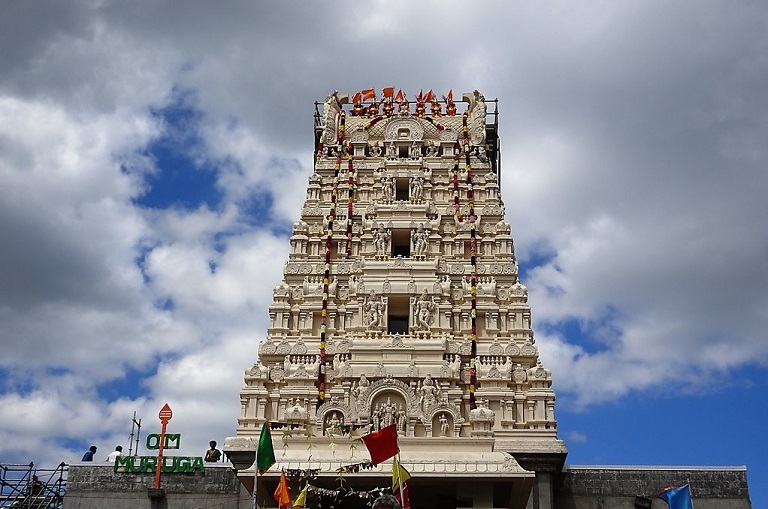 The three-part Sri Siva Subramaniya temple—located at the southern end of the main road through Nadi, Fiji—is the largest of its kind in the Southern Hemisphere. The Hindu temple was dedicated to the deity Murugan, the god of nature. Murugan’s statue, specially carved in India, is housed in the main temple. The second part of the complex is the Ganesha temple, while the third section is the Meenakshi and Shiva temple. The original temple had been in existence for a long time. It was at the old temple building that the India Sanmarga Ikya Sangam (TISI Sangam) which was formed in 1926. The foundation for a new temple was laid at the old site in 1976 during the Golden Jubilee celebrations by His Excellency the High Commissioner for the Government of India in Fiji. 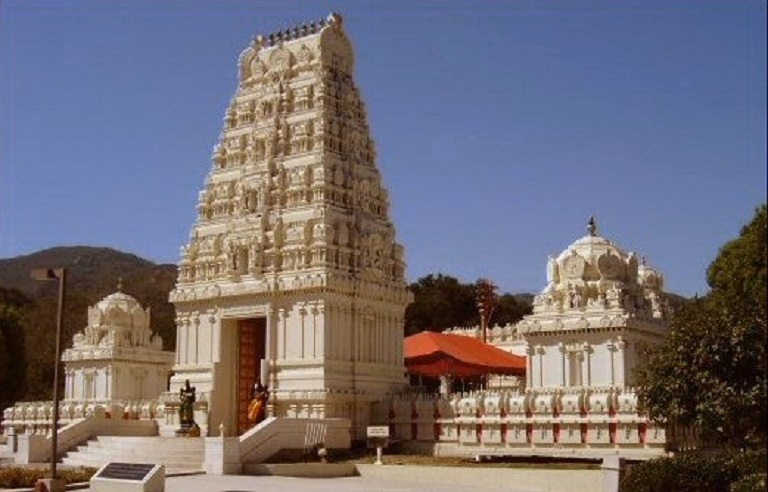 The temple was built in the best traditions of ancient Dravidian Indian temple architecture as well as the principles of sacred architecture of the Vastu Vedic tradition. The complex features pyramid-shaped temples, individually adorned with elaborate carvings, step designs and statues of gods, kings. and warriors. 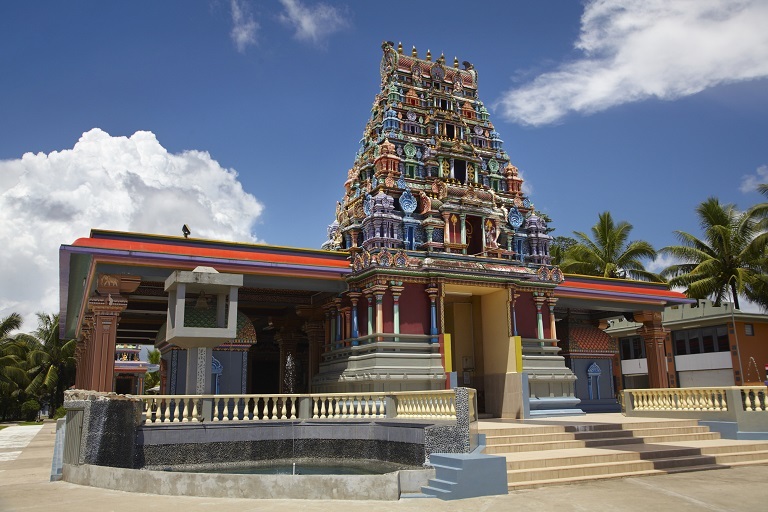 The renowned architect, V. Ganapati Sthapati of Madras, India, was commissioned to create the largest Hindu temple not only in Fiji but in the southern hemisphere. Why Arumugan is Worshipped Only in South India? Established in the year 1994, Sri Sivasubramaniar Temple remains a non-profit entity serving the Tamil people of the region. This Hindu place of worship was founded with the efforts of the migrant community of Zurich who felt the need for a cultural and spiritual centre. Sri Sivasubramaniar Temple now remains the largest as well as the most popular Hindu temple in the country. 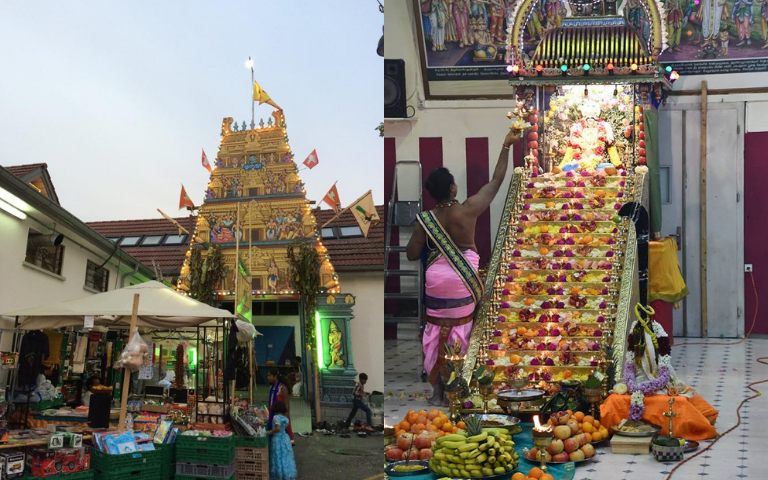 Nearly 35,000 Tamilians living in Zurich and nearby cantons flock to the temple on various Hindu festivals and other cultural events. The Sri Mayurapathy Murugan Temple Berlin, based in the capital of Germany, belongs to the few Hindu temples in the western hemisphere. The temple was constructed by nine Sri Lankan Tamils in the year 1991 – as a place to offer safety to the needy, listen to the prayers of the believers, to cleanse them of their sins and bless them. The inauguration of the temple was celebrated in a religious ceremony, the Kumbhabishekam, under the guidance of Hindu high priest Siva Sri Parameswara Gurukkal. Carpenters and stonemasons, who stand in the tradition of the stonemasons from Mahabalipuram, India, were flown in from India to work on the alters, the gopuram (gateway tower) and all doors and gates.